3) Untapped resources are constantly discovered. It is a complete myth that there are only a few sources of oil that are available for the West. Oil is being discovered constantly in many countries, with Russia being the leader of new discoveries. The reason that oil giants don’t want you to know this is that they obviously make more money from the oil myth. If something is available in abundance, it is harder to make a profit from it. Also, it is easier to propagate this myth and say that we are dependent on foreign oil rather than admit that we have enough of our own, in which case, the prices would have to be much lower. 4) Oversupply in South Korea and Japan. 5) Scientific evidence against peak oil. Scientific research done around the peak oil theory also seems to disprove it as well. 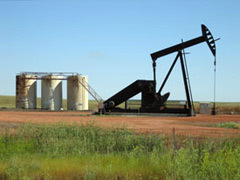 It suggests that oil is not in fact a non-renewable resource, as we are constantly being told. Oil is abiotic, which is like natural gas and coal. It actually replenishes itself from the mantle of the earth. Can the price of gas keep rising?